Today a group of us made a trip with our little ones to Hong Kong Park, then over to the Botanical Gardens and Zoo. It was a wonderful day, and along the way we stopped for lunch at L16 in Hong Kong Park. This is basically the only restaurant in the park, and they serve Thai and Japanese food. They have quite an extensive menu and I was surprised to see the prices were not outrageous or any higher than they would be at any mid-scale restaurant around town. For example my meal was 92 hkd. 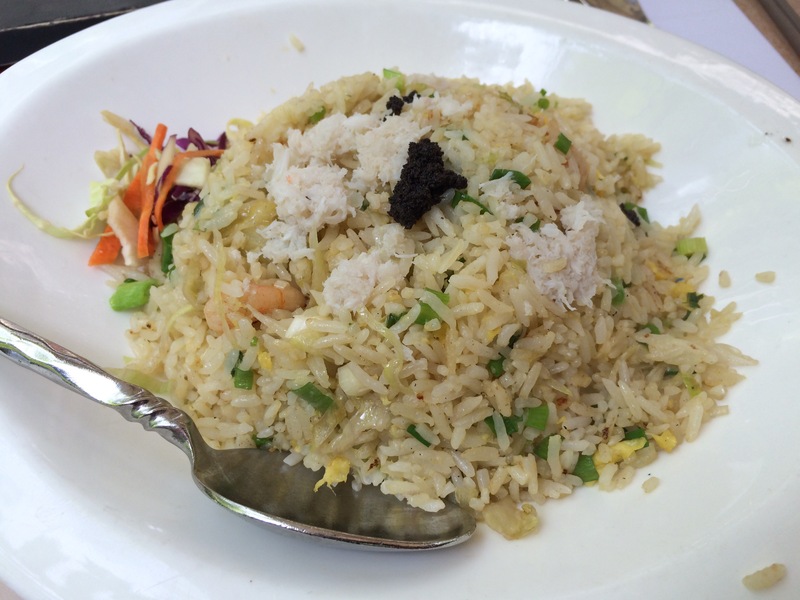 I had the Crab Fried Rice with Truffle. As you know, I think truffle is amazing, so when I saw this on the menu I knew immediately it was for me. And how was it? It was really good! I was surprised that it was as good as it was considering truffle is not a standard Asian flavor. The least good thing about it was the crab meat, which was added afterwards instead of being fried with the rice.